1967-68 Z/28 Camaro stencil kit includes paint mask for dual stripes on header, hood, cowl, rear deck & spoiler. Stencils for front header panel and rear trunk lid emblems. 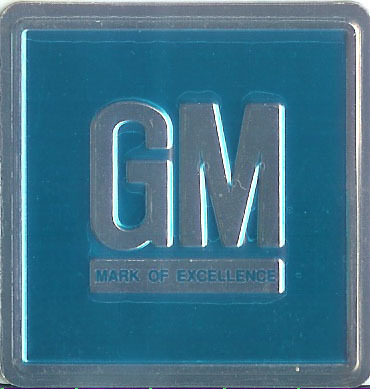 Note GM painted around the C of the emblem. 40′ prespaced paint mask roll is included to join the front cowl panel to front hood stencils, and complete the dual stripe from rear deck panel to end of spoiler stripe. Color photos of original Z/28’s. Note: This kit is reproduced from an original GM paint stencil kit offered during the year of production, even the part number is used. All notches and spacing are off the original stencils. 1051250 1968-72 Brushed Aluminum plate used inside door opening with blue background. Great addition to any car. 1967 Brushed Aluminum plate with Teal background. Great addition to any car.